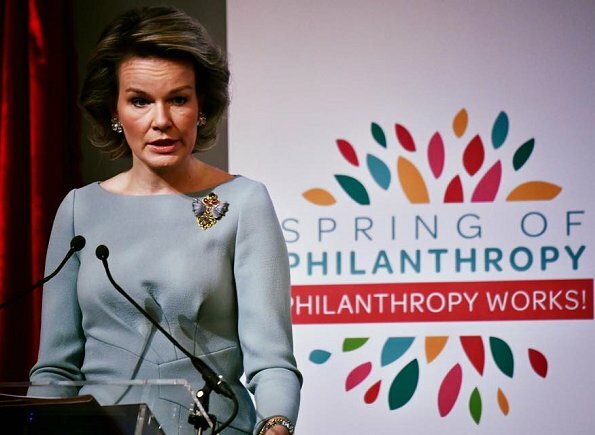 On May 12, 2017, Queen Mathilde of Belgium attends the opening session of the Spring of Philanthropy at the Concert Noble in Brussels. 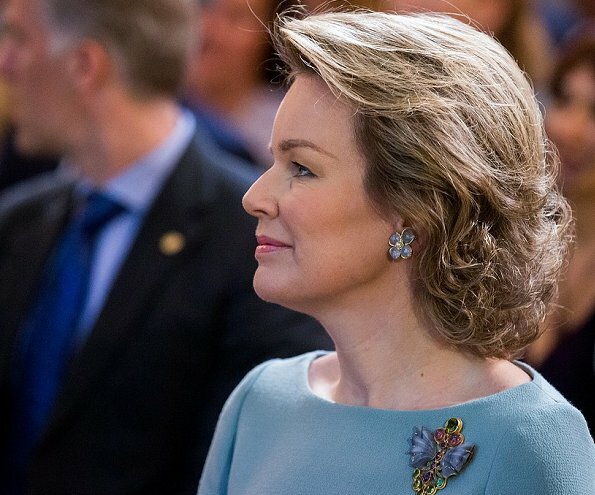 Queen Mathilde gave an opening speech at event. 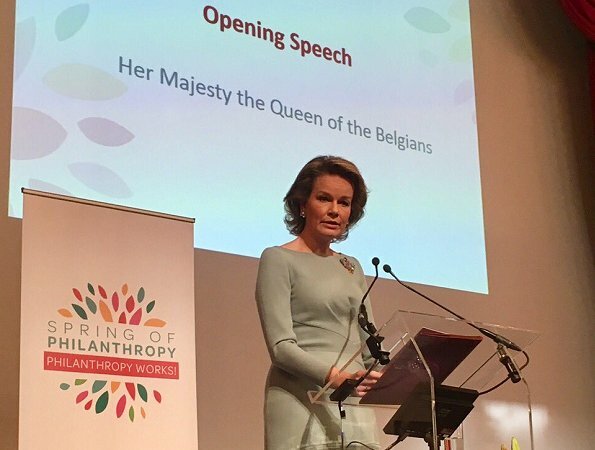 This European conference is organized by the King Baudouin Foundation to promote philanthropy. The King Baudouin Foundation is a public benefit foundation and established in 1976. The Foundation provides support to more than 1,700 organizations and individuals each year, is active across internationally. That is a stunning shade of blue for her dress, with interesting seaming on the front, very subtle. I love the earrings and the pin with the touches of other colors in the stones. She wears clothes very well with her height and trim figure. I like this - I really like all these shades of pale blue that are around at the moment. I like the simple elegance of the style, I love the dramatic brooch and her earrings. Lovely! Love this soft blue on her! Lovely colour and a great style and fit for her. Love the portrait (profile). Beautiful. I thought that as well - stunning photo. That is one of the best day dresses she has had ever. I would love to have that dress myself. Lovely dress, but her hair looks brittle as though it has a whole bottle of hair spray on it.